First of all, I am asked by Miss Light to encourage you to buy "Breast Cancer" stamps at the PO. They cost 40¢ instead of the usual 37¢. I can't think of too many cheaper ways to do your good deed for the day. This time there is plenty of "Iraq" to talk about. 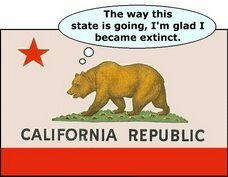 If I skip the California election entirely, it's only because it is so hard to believe. But truth is always stranger than fiction, and we should be grateful. You can't make this stuff up. I did include the recent "Doonesbury" which we may all have to mail in with our new "Breast Cancer" stamps. > According to the Sunday Mirror report, Saddam is demanding safe passage to the former Soviet Republic of Belarus in exchange for information on weapons of mass destruction and his bank accounts. US President George W. Bush is being kept up to date on the talks by his National Security Adviser Condoleeza Rice who is coordinating negotiations led by US General Ricardo Sanchez, the Sunday Mirror said. Pietro Cardone is an elegant, discreet man, an Italian diplomat who hates polemics and who pleaded with me that his story should speak for itself. "Marshall Plan to Bush Iraqi Plan: No Comparison"
Abdullah teaches his recruits to kill. Phew, I can't take much more. Can't we protest with a certain humor? Democratic presidential candidates Howard Dean and John Kerry have called for Defense Secretary Donald Rumsfeld to resign, citing a "pattern of deception" in his statements on Iraq and a failure to plan for the postwar period. Recent works by the secretary of defense. But that doesn't stop the rest of Mr. Bush's people from ask for even more credulity from us. "Fool me once, shame on you, fool me twice..."
And this one is truly scary...WHO PICKED THAT NAME??? exactly how the vote count can be manipulated. The woman who wrote this is the one whose website was shut down.